It’s great to see more and more luxury brands embracing technology and Zenith has done a brilliant job with their latest iPad app. I’m a big fan of tablet shopping/product guides as it definitely makes online shopping a little more fun, as well as the large enough viewing size to get a good experience. 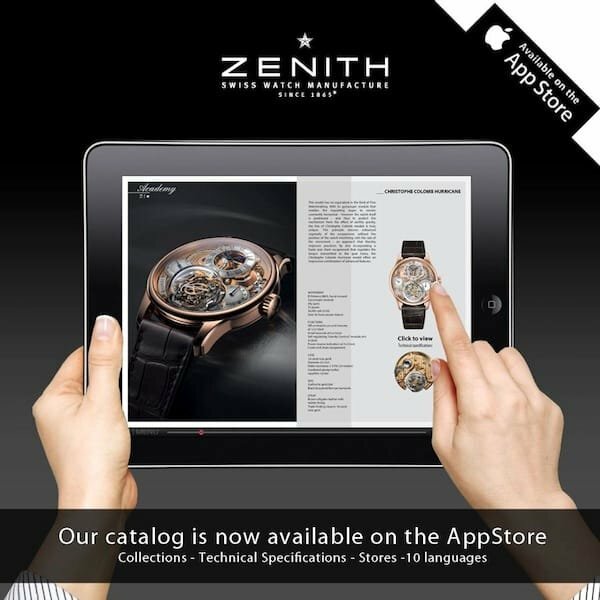 The Zenith Watches iPad app is of course free and ready for you to start browsing and shopping. Not only that, the app does a great job of educating. The app has every minute detail for the selection at hand and you’ll definitely learn a thing or two about how Zenith creates its masterpieces.